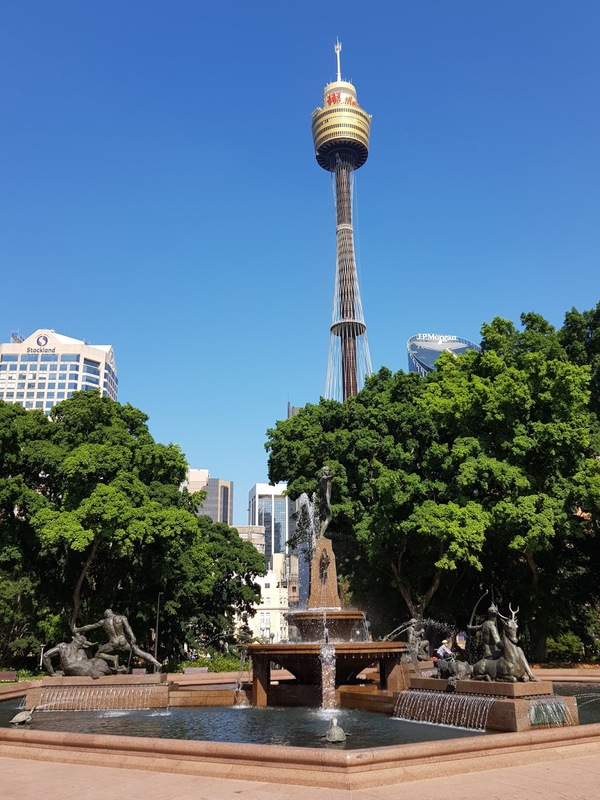 Looking past the Archibald Fountain, an art deco style fountain in Hyde Park North, to Sydney Tower. Great shot of the tower and pretty fountain. Happy Friday, enjoy your day and weekend! Always enjoy your post since you share some of the interesting places of your wonder fl world. I loved my one and only trip there many years ago. Perfect timing, both to select impressive Deco styling and to thank the French for their enormous sacrifice in WW1. I do like that fountain. What a classic skyline, great shot. Beautiful blue sky and interesting fountain! Great shot! The weather looks so warm and wonderful. Betty, it's hot. We've had three heatwaves this summer. Love the sculptures on the the edge of the Archibald fountain. The weather looks warm and inviting. I'm beginning to recognize the beautiful Sydney tower:) This was a great to share for All Seasons - have a great week!